Learning how to manage property, from risk management to property maintenance, sustainable practices to working with board associations and more. This training course will provide participants with a solid overview into the world of Real Estate Management. Property markets are a significant force in today’s fast moving global economy and their importance is only likely to increase as a range of factors combine to accelerate international investment in the property sector of many countries. In a number of established locations this investment is shifting from the traditional forms such as retail and offices to alternative investments. This is having a dramatic impact upon scope of property management. The question is will this market development roll out everywhere? This programme will look at property management in its widest context. It will look at the nature of the change and how it is generating numerous new opportunities for those involved in management. It will look at how we manage our advisors and how we avoid the many management problems that can arise if the property is not managed professionally. It then provides delegates with a chance to give their views on a case study that demonstrates the value of collaboration between facilities management and property management. Finally, the programme looks at the problem of voids and marketing. This 1-day course will be interactive and applied so that delegates will have the chance to not only discuss any management issues they may have but also how they think property management will develop. It will give everyone a chance to explore how to manage in this highly dynamic area as well as making the most of the developing opportunities while avoiding the many problems. 10.45 The use of advisors – how do we manage them? Ashley commenced his corporate career after studying at MIT in the United States as a Fulbright Scholar in the late 1970s. He has extensive experience of corporate property and facility management and specific knowledge and experience in the Information Technology and Telecommunications industries. 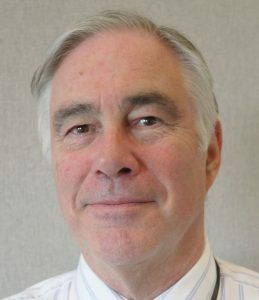 During the 30 years in which he worked in the commercial sector he directed both an intelligent building consultancy and headed the property and facility functions in several public companies including Digital Equipment Company and Compaq Computers (both now part of Hewlett Packard). He was then appointed Director of International Property and Facilities at MCI WorldCom being responsible for the company’s property portfolio and real estate / facilities operations across Europe and Asia Pacific. During his career he pioneered the development of flexible working. Since April 2004 he has worked for Henley Business School in the UK while independently specialising in education, research, corporate training, coaching and consultancy in the field of corporate real estate and facility management. He has worked in a number of countries for clients in the public, private and charitable sectors. Ashley is a regular member of the BIFM Training team presenting on both the UK public course programme and for in-house courses in the UK and overseas. Please fill in the following form and sent it at office@rabo.org.ro, or call 021.403.41.20.